1972 was a big year for the Telecaster® guitar - it was available in designs, with more options than ever before. 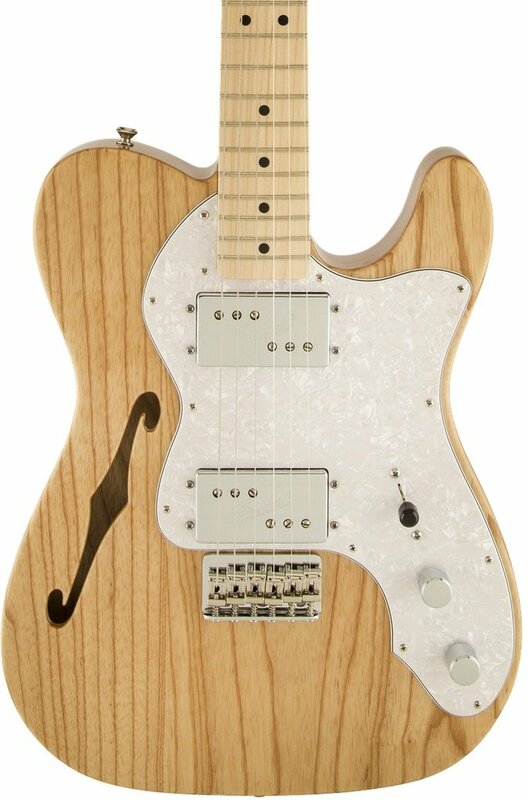 The Classic Series '72 Telecaster Thinline has the dual-humbucking pickup configuration introduced in that year, with other features that include a semi-hollow ash body with f-hole, ""U""-shaped maple neck with bullet truss rod nut, three-bolt neck plate with Micro-Tilt™ adjustment, maple fingerboard and vintage-style string-through-body hard-tail bridge and vintage-style tuners. Includes Fender Gig Bag.